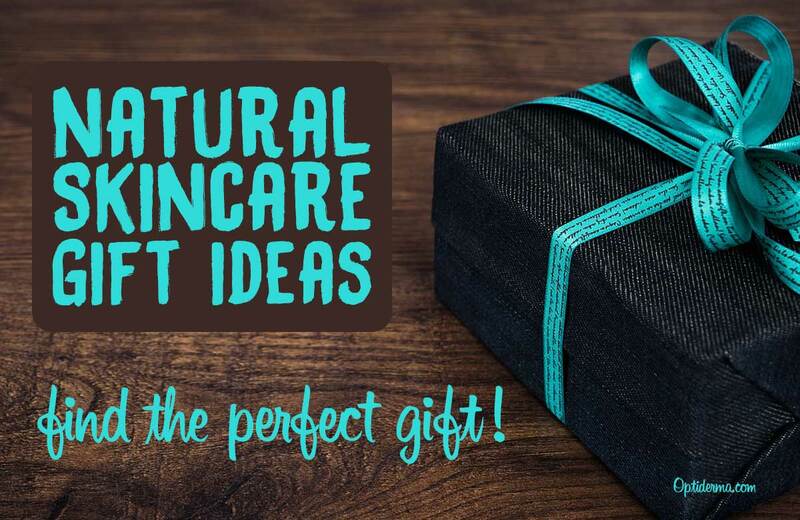 Here’s a list of 12 natural skincare and beauty gifts you can get for your loved ones this holiday season that retail at $25 or less. 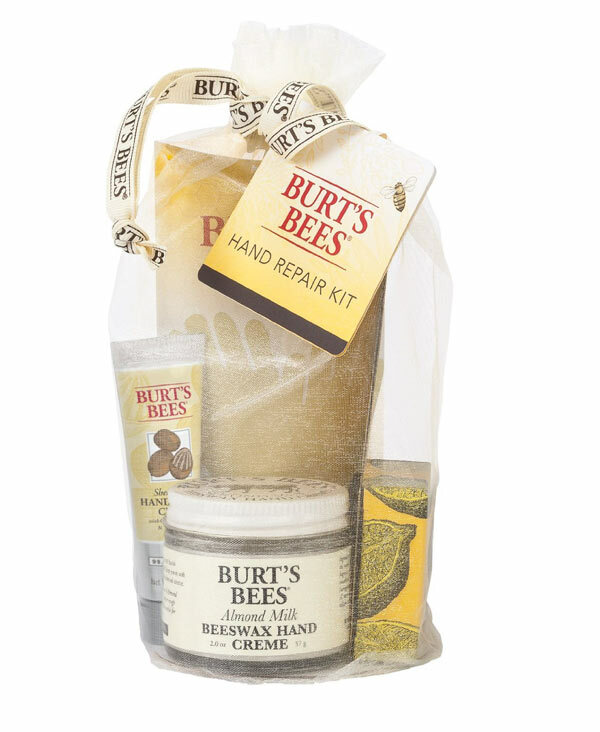 Everyone will love this complete spa treatment hand repair kit that comes with various hand care products such as Almond Milk Hand Cream, Hand Repair Cream with Shea Butter and Lemon Butter Cuticle Cream. The spa treatment kit comes already gift packed and contains a lot of skin nourishing ingredients such as the moisturizing Aloe Vera gel and the soothing Almond oil that makes the skin extra soft and supple. The gift set comes complete with a pair of cotton gloves. It’s hard to find anything that truly compares to a relaxing bath after a long day. With this kit, you can get spa-quality aromatherapy bath bombs made of all-natural ingredients based on sea clay that soothe the skin and offer muscle relief. The gift set comprises of 6 completely different bath bomb fizzies, which is quite a good bargain in my opinion considering the price. They also contain none of those harmful artificial dyes that can sometimes block your pores and cause a buildup of germs. 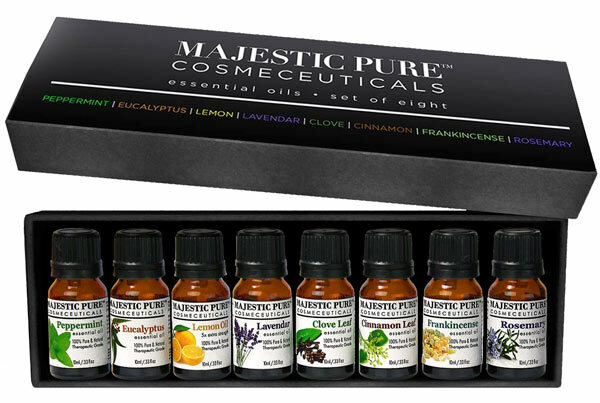 This collection of Majestic Pure essential oils offers a more direct approach to a wrinkle-eradicating skin care regime. The gift set comprises of 8 wonderfully scented essential oils such as Peppermint, Lemon, Clove Leaf, Rosemary, Eucalyptus, Frankincense, Lavender and Cinnamon Leaf in 10ml bottles. Ironically this is the perfect gift for someone who prefers to make their own beauty formulations. This aromatherapy necklace definitely stands out from the pack as one of the most unique gifts you can go for. 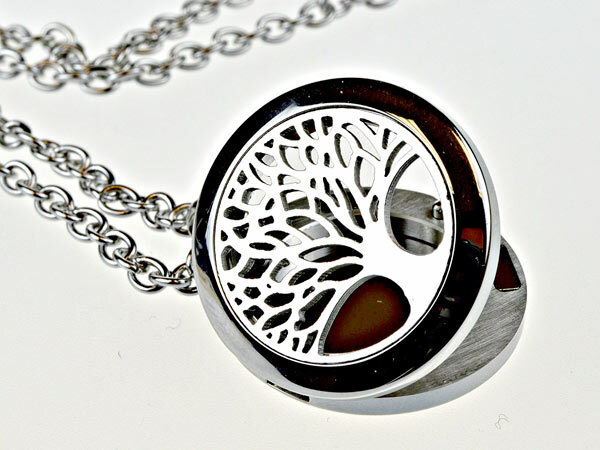 It comprises of a stainless steel hypoallergenic chain with a pendant that can be fitted with an aromatic diffuser. It is a gift that keeps giving as the aromatic diffuser necklace gift set comes with a free 5ml bottle of a pure therapeutic essential oil of your choosing. The anti-aging properties of this cream are without a doubt one of the most potent at its range. 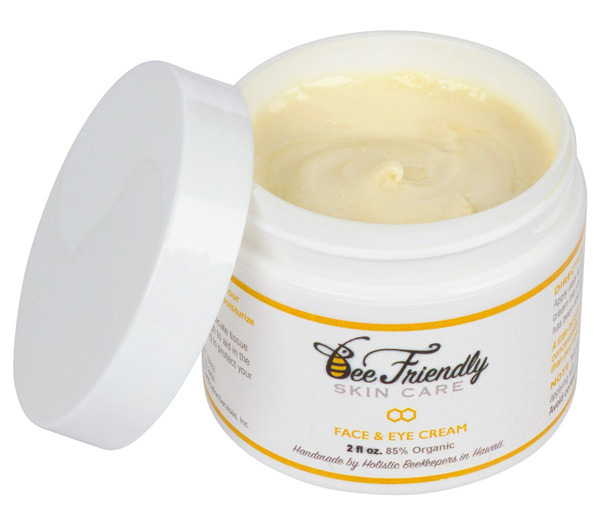 The cream is made from various natural ingredients including organic beeswax with pollen and propolis, Hawaiian honey and virgin Olive oil. 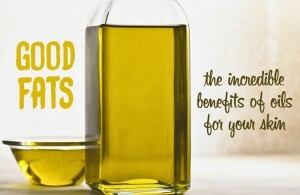 It is therefore packed with numerous nutrients for the skin and it also keeps it well moisturized and supple in addition to getting rid of wrinkles and fine lines. This is a great gift for those who want to take care of their skin! 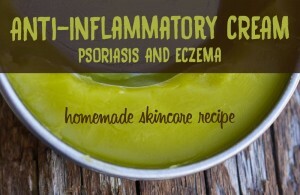 While not exactly a skincare product, this is a gift that can prove invaluable to people who have no idea where to start when it comes to making homemade beauty products. 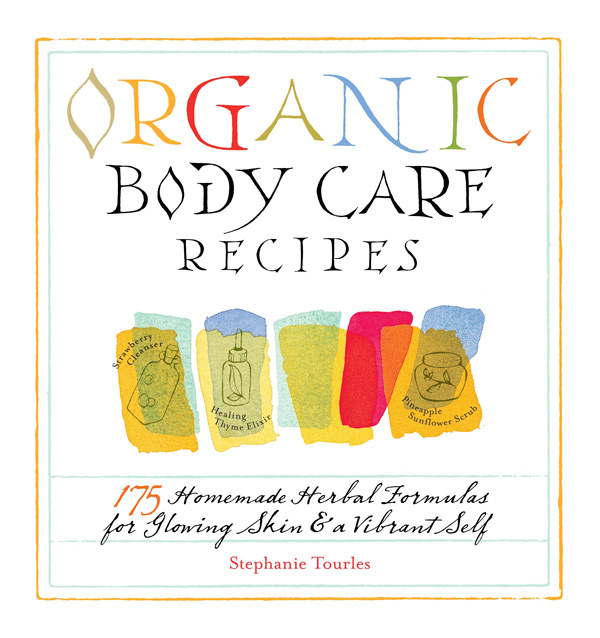 This book contains great homemade herbal formulas. I would recommend it to anyone reading this list to learn how to make beauty products at home! 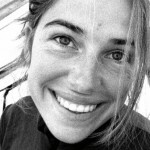 Most of us are already aware of the anti-aging effects essential oils have on the skin. These proven benefits to the skin are what make this such a perfect skincare gift for your loved ones. 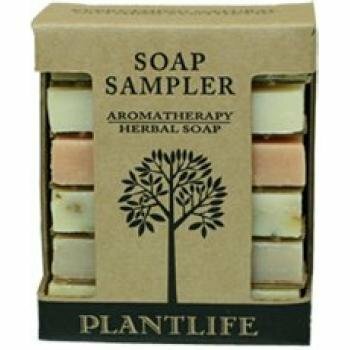 The Aromatherapy Herbal Soap sampler contains six different types of herbal soaps that are rich in essential oils and boast of wonderfully fragrant smells. The sample soaps are entirely made of natural ingredients, gentle on the skin and keep the skin supple and moisturized. If you’re not fully aware just how bad dry skin can be, you can read this post and see exactly why it is important to stay moisturized. 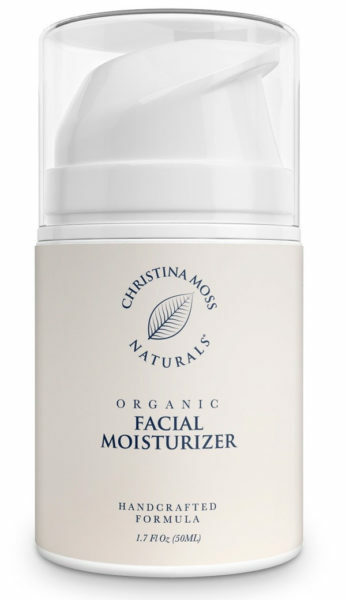 On that note, the Christina Moss Naturals have a pretty good facial moisturizer made from 100 % organic ingredients. Furthermore, it is perfect for all skin types including oily, dry and sensitive skin. The formulation comprises of a smooth blend of organic ingredients including Star Anise Oil, and it features a mild but pleasant licorice scent. It also keeps the skin young by fighting off cell-damaging free radicals. Shea butter is known for its skin and hair moisturizing properties and is also keeps hair and skin from drying up or breaking unnecessarily. As such, it is a must-have skin and hair care product for most people. 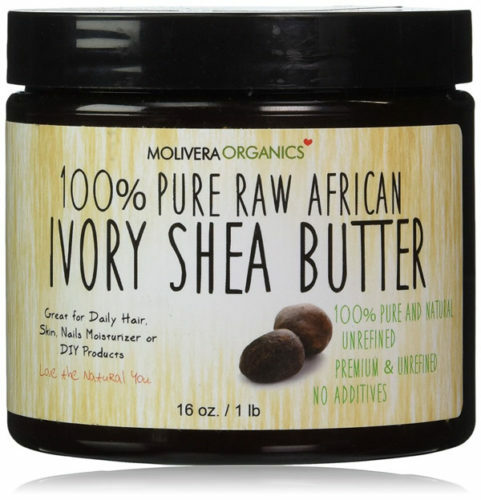 I find this organic Ivory Shea Butter quite the skincare formulation especially since it’s 100 % organic. The best part is that it won’t cost you an arm and a leg. 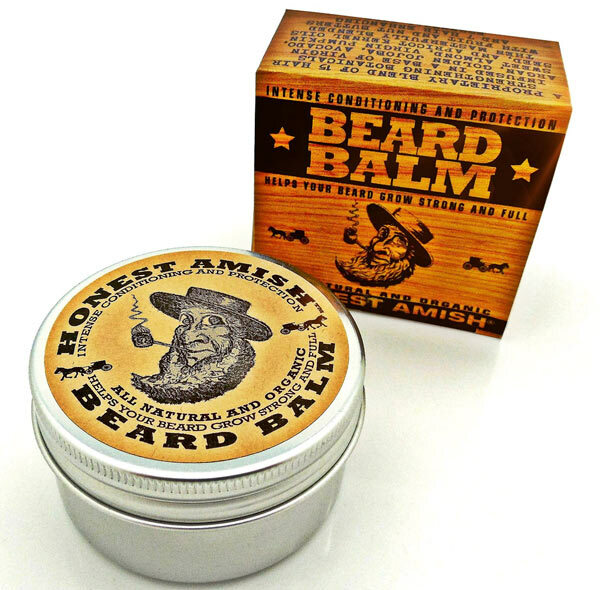 For men who have a soft spot for their facial hair, this beard conditioner not only makes grooming easier, it also gets rid of itchiness, eliminates dandruff and also helps soften and strengthen those coarse stray hairs. 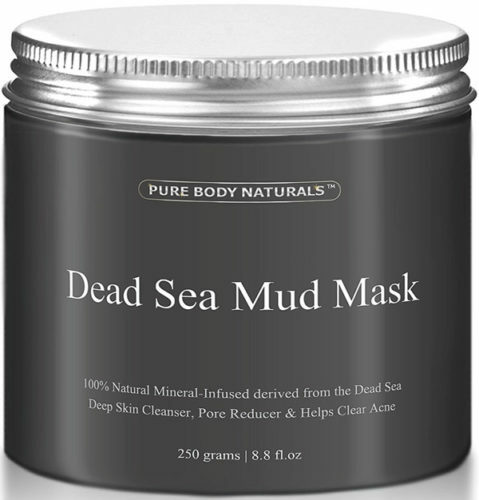 The Dead Sea mud mask is especially effective when it comes to getting rid of blackheads and acne breakouts on the skin. Its formulation is specially made to remove excessive oils and atmospheric toxins from your skin. It is also packed with numerous ingredients that enhance the body’s circulation significantly, and of course, it contains jojoba oil. 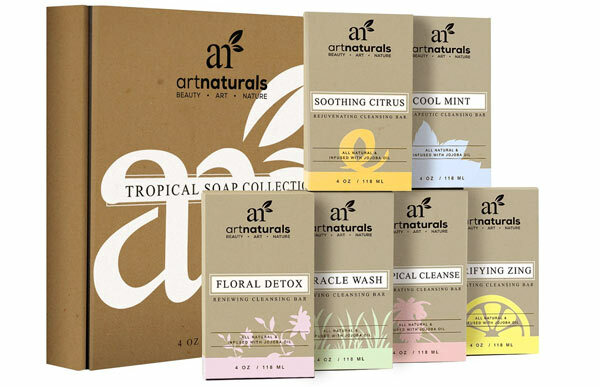 Art Naturals’ 6-piece soap bar gift set is quite the bargain. 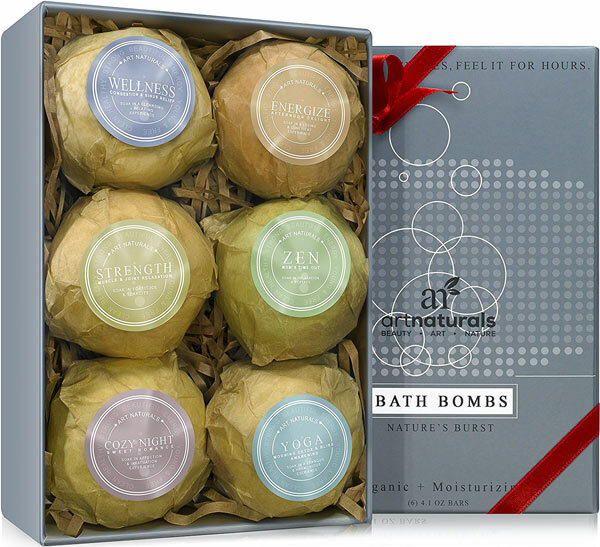 The gift set consists of six skin nourishing aroma therapeutic soaps that all contain texture enhancing jojoba oil. The wonderful collection of scented spa soaps is ideal for all skin types and can be used by both men and women. Although the list could go on, I find that these 12 skincare products are great gifts for your mum, daughter, husband or friend! However, if you have time to make something homemade, it’s even better! When it comes to skincare and beauty gifts, I’ve always found homemade gifts more thoughtful and personal than store-bought products. 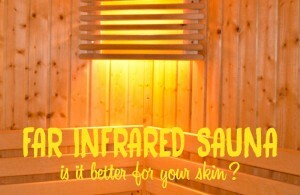 What’s more, they’re often cheaper, gentler on the skin and they don’t contain chemical ingredients. However, not every one of us has the time (or sometimes the knowledge) to whip up some fragrant homemade soap or perfume or sleep mask on the whim. 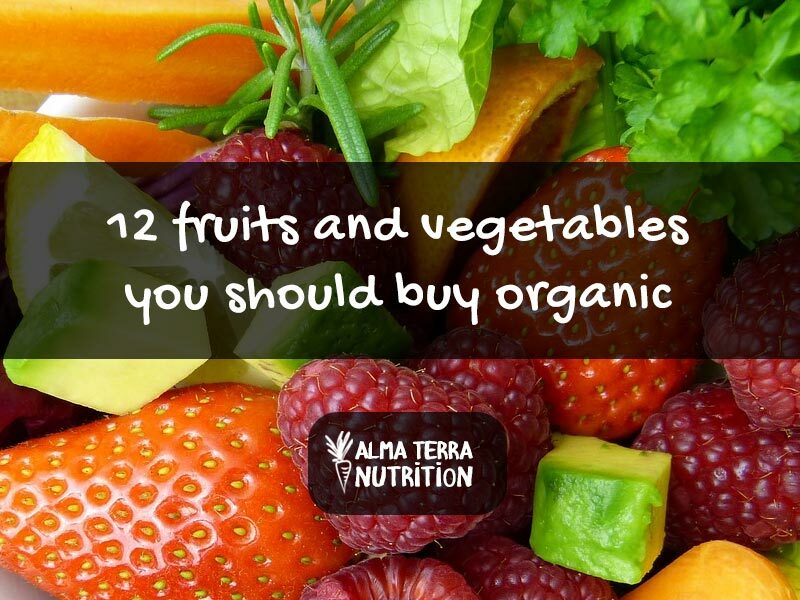 This is where store-bought products really come in handy. One downside about buying skincare products from stores is that the good stuff is always a bit too pricey for my liking. After all, not many of us are particularly comfortable spending hundreds of dollars on a single beauty product regardless of the occasion. Also, commercial skincare products often contain harmful ingredients. So you have to be careful when buying them. 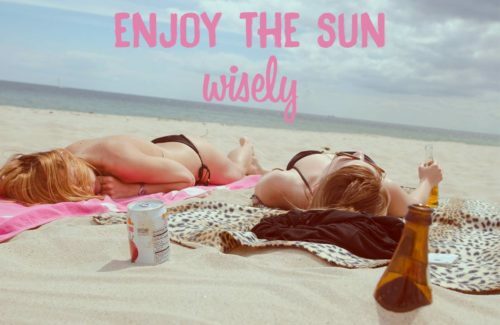 The list here below will help you choose safe skincare products!